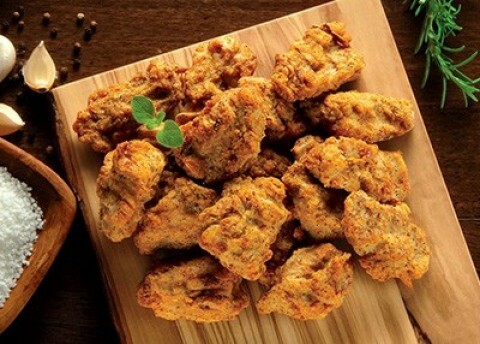 Ingredients: Pork ribs, Water, Soy protein product, Salt, Garlic powder, Spice, Sodium phosphate, Sugar, Wheat flour. Cooked in canola oil. This product is packaged in a facility that also handles wheat, eggs, seafood, soy, milk, sulphites, sesame seeds, and mustard.